These last few days have been so eventful that I have been neglecting to put up another blog post! This trip to China is such an experience, I am seeing, doing and trying new things that I never thought I would before. 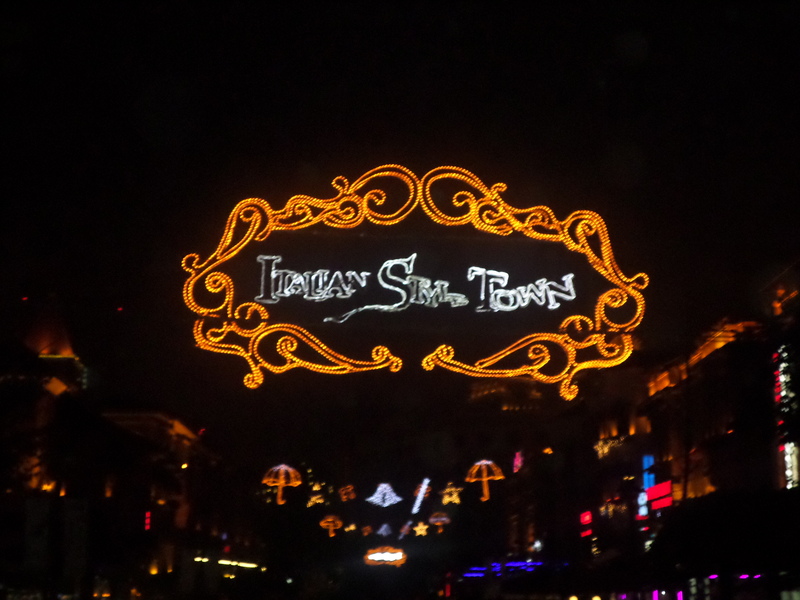 Two days ago we were still in Dalian. On this last day in Dalian we went to the Dalian port, we went to the Dalian beach and we also went to a really great dinner. Being at the Dalian port was amazing. The man that showed us around had so much knowledge of everything that had to do with the port, and also all the products that come in and out of the port. We also went up to the top of the highest building, which was the 28th floor, just to get a view of the whole port. The craziest thing about it was that we were able to see not just the port, but the surrounding area. The Dalian beach was my favorite part of the day though. Being at the beach there brought me a little bit closer to home. Being away from home this long is definitely a struggle, but when you go on adventures like this, and see almost what you see at home, makes you feel great. Doing that trip to the beach definitely boosted my energy level about the trip. Yesterday was a GREAT day. Yesterday morning we got up at 5:30 AM to be at the airport by 6:30 for our 9 o’clock flight to Xi’an. The flight was a little bumpy because of all of the turbulence, but all in all it was a good two hour flight. 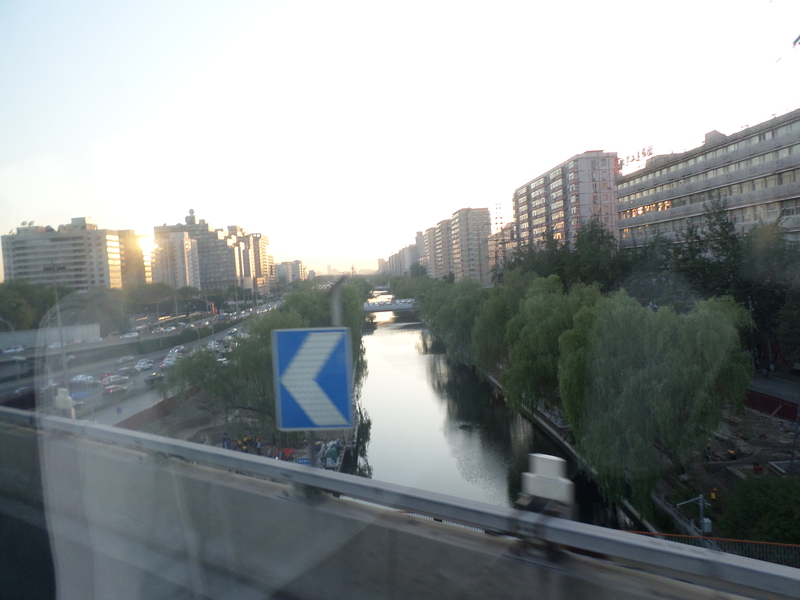 Once we got here to Xi’an, we met our tour guide and then drive to the hotel. Once we were there, we had the ENTIRE day to ourselves (which means that almost all of us caught up on some sleep). 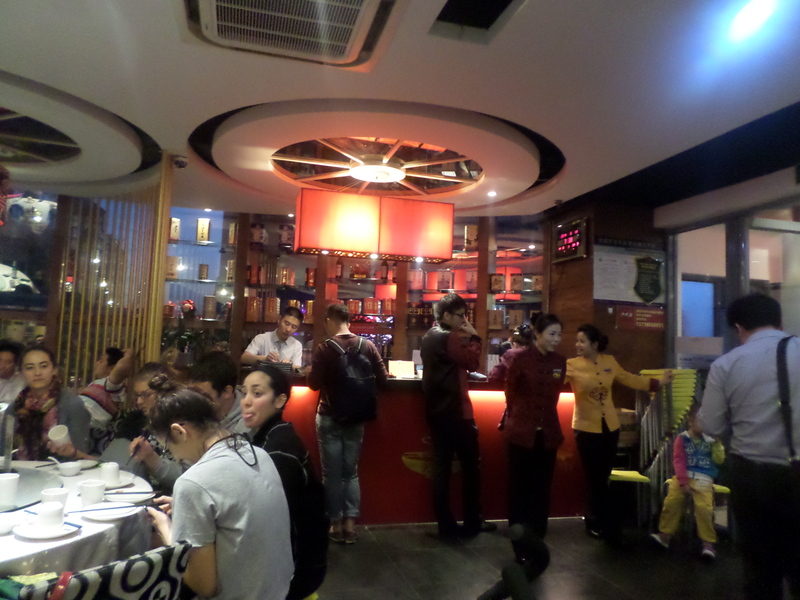 But in the afternoon, me and two other people decided to walk around to see what Xi’an has to offer. To our surprise, Xi’an had so much to offer. There are three shopping malls within walking distance from our hotel, there are two historic sights, and also a HUGE market. So needless to say, we went to ALL of these spots. Today we went to my most anticipated part of the trip, the Terracotta Warriors! This was my FAVORITE part of this entire trip so far! It just amazes me at not only how recent they were found, but how old these statues are. It was literally breathtaking to see all of these things in real life and not in a picture. I can not put into words how amazing it is. After seeing the Terracotta Warriors, we went to the Wild Goose Pagoda. The Wild Goose Pagoda is said to be home to Chinese Buddhism. While we were there we learned a whole lot about Buddhism, how it was started, how it came to China, and even Buddhism today. After walking through the pagoda area, we stopped in the art gallery of the pagoda where we learned about Chinese calligraphy and how to tell the difference between real art and fake, printed art. After the pagoda we then went to something called a Dumpling Banquet. This banquet served us with 13 different dumpling dishes and wide variety of appetizers as well. I can’t believe that this trip is so close to being over! I have made so many great friends during this trip and I don’t want to leave them! But still have lots more to do! It has been so hard for me to connect to any kind of internet anywhere here in China (which I still can’t believe being how technologically advanced China is). But these last three days have been nothing short of busy and action packed. We have gone to so many places and have traveled miles upon miles to get where we are now. Okay on the first of these three days, we went to the Temple of Heaven, where we took Tai Chi class, and a beautiful park that over looks the Forbidden City. So the Temple of Heaven was right of there with the Great Wall and the Forbidden City. The Temple of Heaven is another breathtaking sight. Temple of Heaven park was built for the emperors to give thanks during the year for their harvest. Believe it or not, this huge temple was only used three times a year! The architecture of the temple was amazing. It was delicately painted and there was definitely a very strict attention to detail. After this, we went and visited the park that overlooks the Forbidden City. This park has one HUGE hill where, at the top, there is a huge temple. This temple is big enough to fit almost, what looked to be a 45×45 statue of Buddha. The views from this temple were nothing short of amazing. It overlooked the entire Forbidden City. One thing I didn’t know and probably something that I wouldn’t have realized on my own, is the fact that the Forbidden City was built so thoughtfully that the only thing that you can see from this temple is the roofs of the Forbidden City. Why? The ancient Chinese people made it this way so that the emperor could walk around the city and not worry about being killed by someone on higher ground. Yesterday we took the high speed bullet train (and when I say high speed I mean 198 miles per hour!) to Tianjin. When we arrived there, we went to Benedictine University’s sister school Nankai University. While at Nankai we took a tour of their campus, ate an AMAZING lunch, and received a lecture from one of the professors at the university. The professor spoke about GDP in China and the past and potential future of their GDP (luckily I wrote a whole paper and did a presentation on this in my Macroeconomics class, so I knew what I was talking about, thanks Dr. Shaffer!). After leaving the university we went to a local market for dinner and then, my favorite part, we went to an Italian Style street. Needless to say, I was VERY happy. 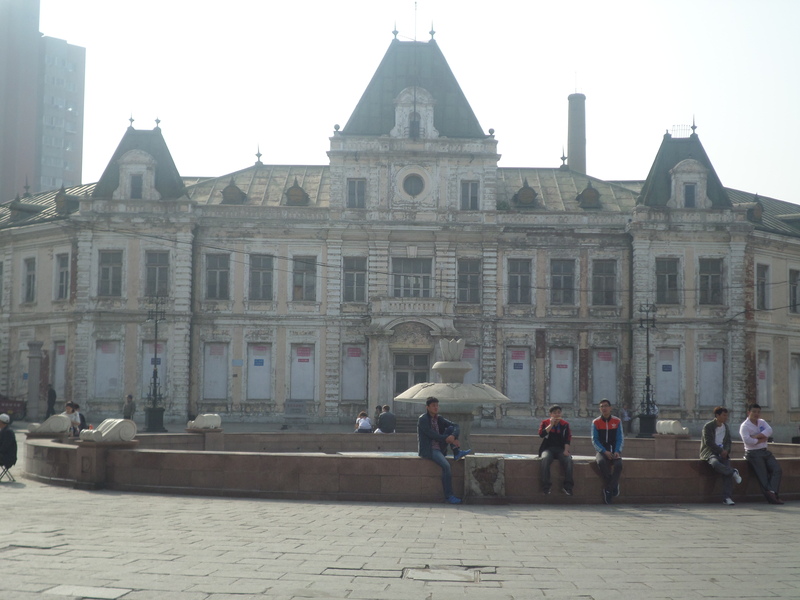 Then we took an overnight train from Tianjin to Dalian, which is where I am writing from today. Dalian is an AMAZING place! It is also a lot cooler as well, being as though I think I may have lost at 50 pounds just from sweating in Beijing! The train ride in was great, even though I was probably only awake for a total of 1 hour of it. But, anyway, we went out to breakfast this morning at a local restaurant and then we proceeded to check in to our hotel. After checking in, we went on a tour of Dalian and went to several different important places here in Dalian. These places included Labour Park, Xinghai Park and Russian Street. China has a lot to offer to so many people. I never thought that I was one of those people, until now. Wait! Can we go over the fruits again?! Beijing has provided me with an opportunity of a lifetime. Being in China has changed my perspective of life in general. Yesterday, we went to two of the biggest attractions in China, Mao’s tomb and the Forbidden City. Today, we went to the migrant workers village and the 798 art district. I can honestly say that I was completely speechless almost the entire time yesterday. The amount of respect that the people have for Mao is unbelievable. So much respect that we were not allowed to take pictures or speak at all when we were approaching the tomb. The Chinese people hold this man in the highest regards, so high that the people who were living during his reign, still mourn his death today. The tomb is unbelievably large and beautiful. It amazes me that one man could gain so much respect. Security was extremely tight. We were not allowed to bring any bags with us in the tomb. We were only allowed our cell phones, wallet and passport. I have to say, after going through and seeing this man, it was unbelievable to see someone who was so influential in creating what we know as modern day China. There are no words to describe the Forbidden City. The Forbidden City is just unbelievable. I never knew how big it actually was. It took us almost three hours to walk through the entire thing, and we still weren’t able to hit all of the parts of it. The sights here are beautiful. I felt as though I just took a step back in time and was there with the Chinese people centuries ago. I found myself at times closing my eyes and picturing what it was like back in that time to not only be basically a peasant, but to be an emperor as well. The history behind the city is amazing as well. The fact that they city of Beijing was once held behind the now non-existent city was, literally blew my mind. Today, was probably my favorite day so far. Today, we walked through the migrant worker village. The migrant worker village is a place where people who move from the outer suburbs move into the city of Beijing with no living permit. After we walked around for a little bit, we stopped at the village school. This part was my favorite. When we walked up to the school, the kids were so excited to see us. When we walked into the school, it was amazing to see the conditions that these students were learning in. There were no desks, just chairs. But somehow, the students were so appreciative of everything that they had, we sat through a little class with them, and then we played with them and talked to them for a little while. Which comes to the title of my blog “Wait! Can we go over the fruits again? !” The little girls taught us this game where we had to be a fruit, and I couldn’t understand what they were saying and Dr. Day thought it was the funniest thing in the world! It actually kind of was though. We also went to the 798 art district today as well. It was amazing to go and see not only modern day Chinese art, but older art as well. There were many shops there where is seen a ¥4800 Chinese antique fan. The fan was made out of what looked like marble and was hand painted by the woman in the store. It was unbelievable. Me and two friends also stopped at a coffee shop there in the art district. I’m actually kind of surprised how Americanized China is becoming. There were a lot of stores that were playing American music and were serving American food. This trip is still so unbelievable that I still feel like I’m in a dream. What an amazing last two days! It has been hard for me to blog because of the very little Internet service here at the hotel! So apologize for the really long blog! The flight to Beijing was great! It started off kind of rocky with the two hour delay we had after the smoke in the air traffic control tower in Aurora. We also met some of the most awesome people on our flight! Our flight attendant Jorge takes the cake though. Jorge was the funniest person I probably have ever met. We stood in the back with him and talked with him for a combined three hours! Jorge also gave us some great tips and tricks about Beijing and the area. He also gave us some tips on how to haggle (and trust me these tips have come into play already). After the thirteen and half hour flight, we were able to finally get off the plane (and my fear of get thrombosis finally came to an end) and get our baggage. After that, we met our tour guide and translator Andy, who has been a great asset to us so far. 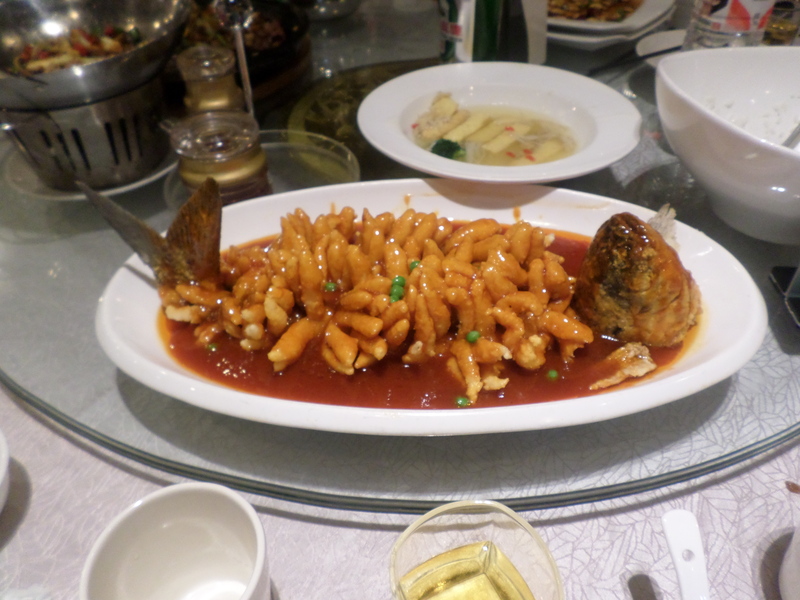 He took us to a family style dinner in the middle of Beijing where I had my first taste of real Chinese food. Then we checked into our hotel, and I was finally able to go to sleep. Today, we had the adventure of a lifetime! We went to one of the seven wonders of the world, The Great Wall of China! I can’t even begin to explain how breathtaking the sights of being on the wall were. I cannot put my experience into words. I felt like I was on top of the world. I felt as though I was becoming apart of history. After a LONG walk (and I mean LONG) we took the toboggans down the hill! This was the best part of the trip! I would’ve walked up that hill again, just to ride the toboggan down again. After we went to the Great Wall, we went to the Summer Palace. Summer Palace was also another breathtaking sight! We walked through the amazing courtyards, architecture, and we even rode a Dragonboat from one end of the lake to the other. After this we had free time to do whatever it is that we wanted. So me and a few of the others, plus Dr. Day and Dr. Goines, went out to another family style dinner. WE ate extremely well. Then we all just went for a walk around the town just to see what Beijing has to offer, and I have to say, it has A LOT to offer. WOW! I cannot believe that we are in Chicago already. The flight was great (even though I paid $8 for WiFi because I got bored and decided the I wanted to watch Netflix). 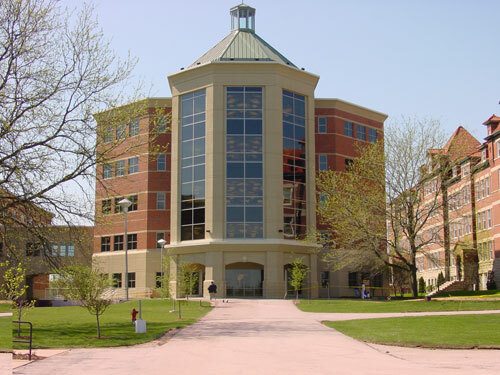 Benedictine University’s campus is amazing and they have some great accommodations for us here! We are set up in an apartment where we each have our own room and bathroom. There is a huge kitchen and access to two sets of washers and dryers (needless to say, I am using them right now.) I want to personally thank everyone here at Benedictine for making us feel so welcomed and the hospitality is top notch! We just finished orientation for the trip, and I have to say, I am now more excited than ever to go on this trip. We went through some introductions, an ice breaker called Bafa Bafa (which was actually pretty fun), ate some lunch and then just got to know each other and the rules that the university has set for the trip. It is going to be a great trip! Ever since I decided to go on this trip and accept the scholarship, I was always wondering what the people were going to be like here. And I have to say, they are all AMAZING! WE have gotten to know a good handful of them, and they are all crazy (just like me!). This experience is going to be indescribable, and I really can’t wait to leave for Beijing tomorrow. Tonight we are adventuring to downtown Naperville, where we will hopefully have an AMAZING dinner, and get to see the nightlife here in Chicago. The next time I will post, I will be LIVE FROM BEIJING! 1 week, 5 days and counting ’til takeoff! It is so unbelievable that in less then two weeks we will be off in our Boeing 777 to China! This whole experience up until this time has been unbelievable and the help that both Anna and I have been receiving from everyone here at Gwynedd has been amazing! First, I have to thank Dr. Owens for everything that she has done for us to help us go on this trip. Without her, this trip would not have been possible. Dr. Owens has provided us with the opportunity of a lifetime and I will be forever grateful to her for this amazing opportunity! The next person I have to thank is Ms. Dawn Caruano. Dawn has been the most AMAZING person throughout this entire process. Whether it was booking our plane tickets, being our go-between for the travel agent or working tirelessly to get our Visas done on time (which, trust me, was no easy feat especially because they were SO long). The next person I want to thank is Dean Heather Pfleger. Dean Pfleger has been there for us since the beginning of this journey. From the moment I received Dean Pfleger’s email stating “Congratulations! You have been awarded one of the two scholarships for the mini study abroad in China!” she has been the most amazing support for Anna and I. We can’t thank her enough. Marc Davidson, Steven Day and Tim Goines (all from Benedictine University), I cannot thank these men enough. They are the reason that we are going on this trip. They have opened up their arms to us and are bringing us along on this amazing journey with them! I know personally I want to thank my parents and friends. They have supported me through this entire process and have been there every step of the way! Now the next few days include, packing, packing, and more packing! See you all back here when we are off to Chicago!!! View from our awesome BU apartment!